Want to ride in "Charger style"? 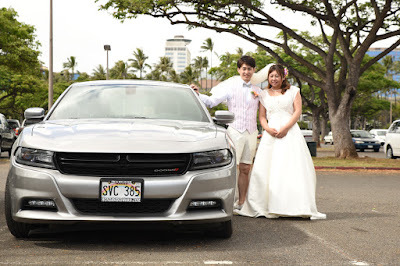 We can pick you up at the airport or your hotel for some fun cruising in Honolulu, honeymoon photo tour, or wedding transportation for the Bride, Groom, or both! Call 808-772-1140.